Research has shown that obesity is a known risk factor for cardiovascular disease (CVD) and increased body fat is associated with a higher risk for heart disease. In this study we are aiming to show that it is not only the amount of fat a person has in their body but also the characteristics of the fatty tissue that is just as important for assessing the risk of developing CVD. In order to characterise the fatty tissue (adipose tissue), we use computed tomography (CT) as a non-invasive and accurate method. We look at the fat beneath the skin and the fat that sits around the heart and coronary vessels. The purpose of the ORFAN Study is to find a way to predict a person’s likelihood of having a cardiovascular event such as a heart attack or stroke in the future by crosslinking the information gathered from CT images of the body adipose tissue and biomarkers in the blood. Furthermore, in this study we also would like to find out whether the biomarkers in the blood can be used to predict progression of cardiovascular disease. Over a period of five years we are aiming to recruit a total of 2000 participants (aged between 18-80 years) who have been asked by their clinical care team to undergo a cardiac CT scan at the Oxford University Hospitals NHS Foundation Trust and those who have previously had a clinical cardiac CT scan within the last four years. 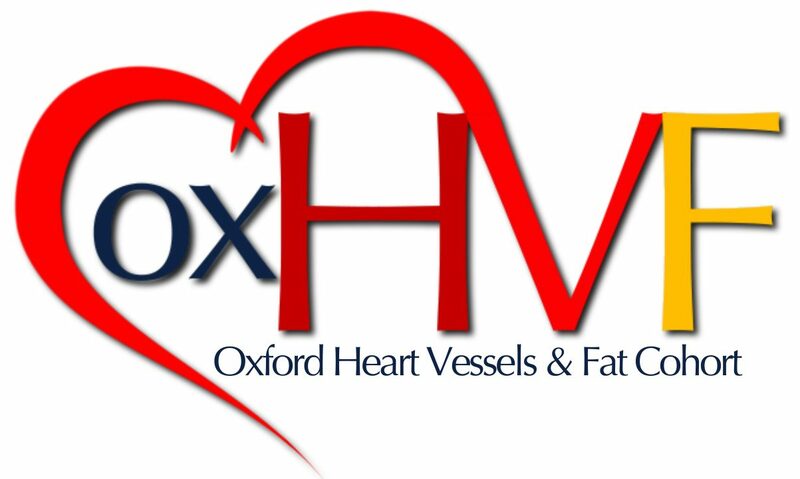 ORFAN is part of the Oxford cohort for Heart, Vessels and Fat (Ox-HVF), which means the results from this study are interpreted together with the findings of other Ox-HVF projects. The Ox-HVF cohort is a cluster of clinical studies that together provides results allowing the deployment of a multi-level strategy to understand the mechanisms of cardiovascular disease. This will add value to the research results and potentially allow the translation of the findings into clinical applications. All participants will have their first CT scan at one of the Oxford University Hospitals Radiology Departments as part of their routine clinical care. At this visit a blood sample will be taken for research purposes to measure for blood biomarkers. A second CT scan will be scheduled 3-4 years after the initial scan at either the Nuffield Health-Manor Hospital, Oxford or one of the scanners within the OUH NHS Foundation Trust. At this visit another CT scan will be performed and another blood sample will be taken. Study investigators will then be able to make comparisons between the two sets of images and two sets of blood samples to see if there have been any changes overtime. A follow up phone call will be made to each participant every 2 years for a total of 10 years to complete a health questionnaire. To support the clinical data we obtain from the CT scan and the blood sample, we will also look into the medical records of participants to study any relevant information that may be useful for the prediction of cardiovascular events, including information from blood tests, imaging results and other tests participants had or may have in the future. Participants may be contacted in the future for possible participation in future ethically approved studies. Full details of the study and study visits will be explained to potential participants in the study information leaflet. The study is supported with funding from the Oxford Biomedical research Centre, The British Heart Foundation and the European Commission. The study has been approved by the South Central – Oxford C Research Ethic Committee (Reference 15/SC/0545). Announcement 23/8/2016: Where it states in the consent form ‘I understand that long term health outcome data will be collected by study investigators by securely accessing records held with the NHS, Health and Social Care Information Centre (HSCIC) ‘ we would like to inform participants that the HSCIC has now changed its name to NHS Digital.